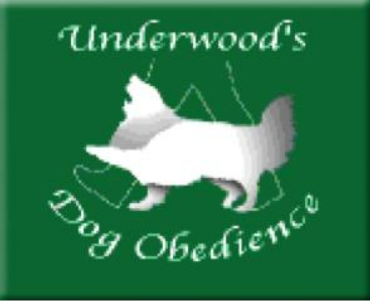 "Underwood's Dog Obedience". He has since competed himself and has trained others in Obedience, French Ring Sport, Protection, Musical Freestyle, Service Dogs and more. He has received top scores and accolades in all areas. Ray is especially gifted in helping dogs with severe behavioural issues. As well as his business in the Lower Mainland, Ray is often requested to teach and judge in other areas of Canada, the United States and around the world. He is in high demand to provide training and expertise in a wide array of canine training methods. He most recently received the "Top Trainer of the Year Award" in 2015 and 2016 for the World Canine Freestyle Organization. 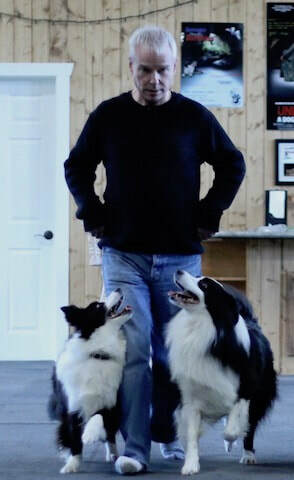 Ray working on some heeling with Magic and Merlin. 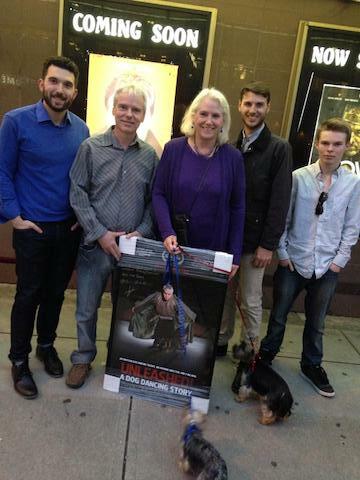 Ray, on stage, during the question and answer period, after the premiere of "Unleashed!" 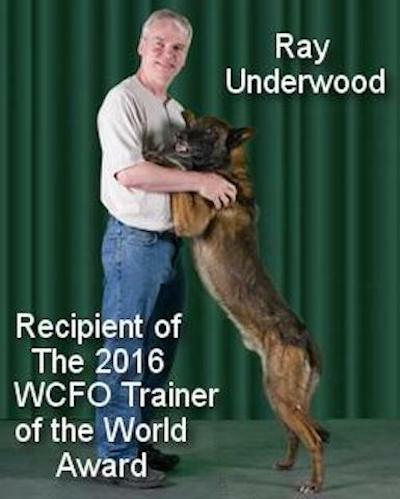 Ray and his Malinois, Ty. Ray, at the Rio Theatre, for the exclusive Vancouver premiere of "Unleashed - A Dog Dancing Story" - a documentary featuring Ray and his students. Ray with his Sheltie, "Stevie". Ray and Tristan being interviewed for a TV program.